After registration you will receive a confirmation email with activation link, visit this link to complete registration process. 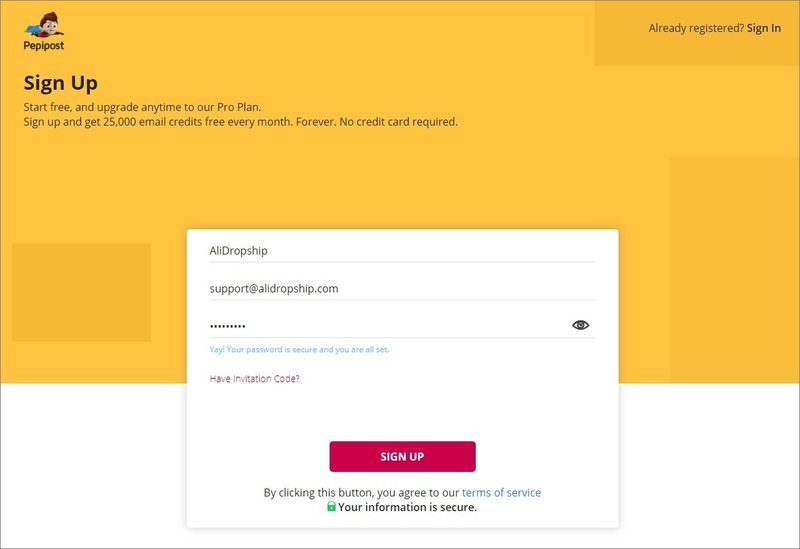 To get started, you need to add your sending domain. Copy TXT records provided in your Settings section and place them in your DNS settings to get your domain verified. If your domain name has been pointed to IP address, you should add your TXT records in your domain registrar acccount. 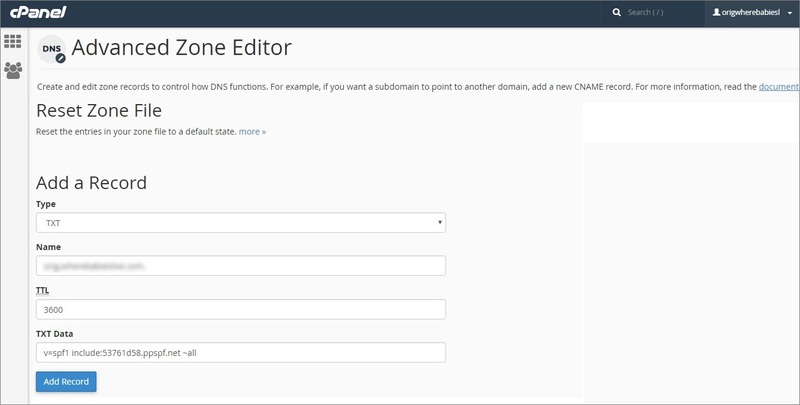 Put your website name in the Host field and insert a unique key generated by Pepipost in the TXT value field. 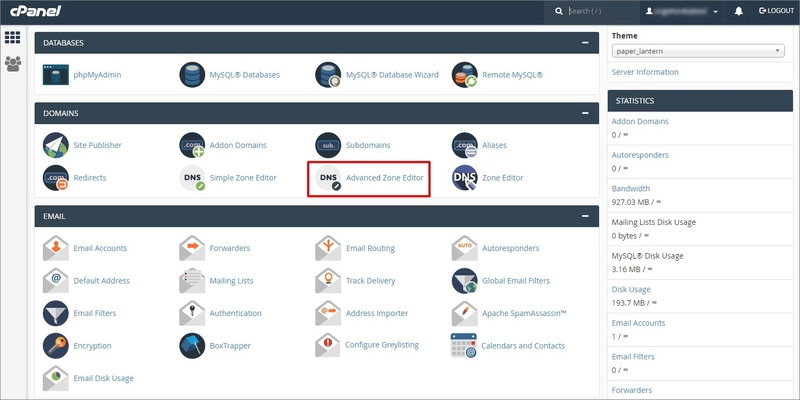 In case your domain name has been pointed to nameservers, go to your cPanel => Advanced Zone Editor to add your TXT records. Fill out the required fields and click Add Record. Once the domain is successfully verified. The next step is to authenticate your domain to send emails using Pepipost. This process is known as SPF (Sender Policy Framework). The steps for domain authentication is quite simple. You need to go to your hosting provider’s panel and update the TXT record of your sender domain. Note: Once the record is updated successfully, based on the set TTL it might take couple of hours to reflect the entries globally. This is because most of the DNS server cache the entries. Hence, wait for some time approx. 1-2 hours in order to get the domain authenticate on Pepipost. In case your domain is still not authenticated on Pepipost, you can reach Pepipost’s support via online chat or via email: support@pepipost.com. The same should be done for the DKIM settings. Once you have added the key, click on Check DNS Records Now. All verified sender domains will be automatically sent to Pepipost’s Deliverability Experts Team for review. Once it is approved by their team, you can start using this sender domain for sending emails. Generally domains are reviewed within 24 hours of submission, but during peak hours it might take up to 48 hours . But there is a provision in the domain management page to Fast Track the review process. You can just answer the questions asked and your domain will be under Fast Track Approval – 3 hours for approval. Paste this API key in your WordPress admin area: AliDropship => Settings => Notifications => Pepipost and click Save changes.